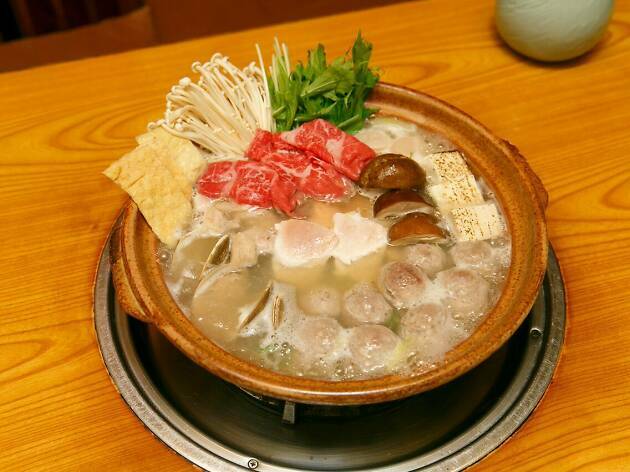 There is no official definition of the dish known as chanko nabe, but it refers to the protein-rich stew eaten by sumo wrestlers. 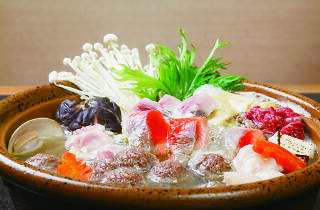 It makes sense, then, that you’ll find a cluster of chanko nabe restaurants near the Ryogoku Kokugikan sumo stadium. One of these is the hugely popular Tomoegata, which was built by a master of the Tomozuna sumo stable and is actually on the stable premises. 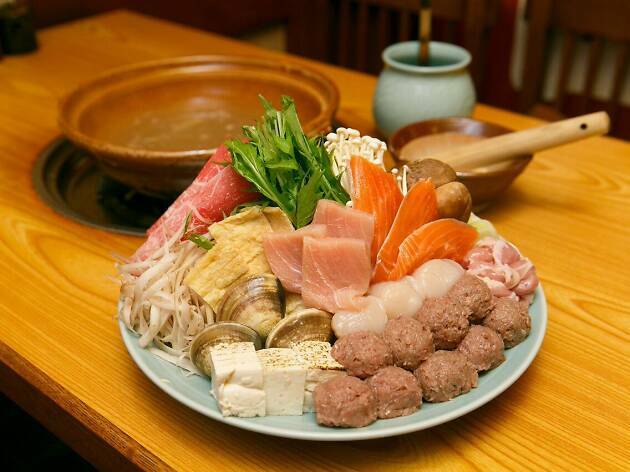 Order their signature dish, Kunimiyama Chanko, which is prepared in a lightly salted chicken broth and includes fresh sardines that are brought in daily from Tsukiji and minced for the hot pot. In addition, they also serve chanko with beef, chicken, salmon and scallops – all with serving sizes to satisfy the heartiest eaters. This is one of the places I always stop by when visiting Tokyo. 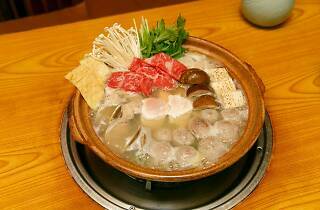 They only serve chanko nabe which in fact are fresh ingredients put into a bowl, cooked very slowly. Its pretty healthy and tasty. 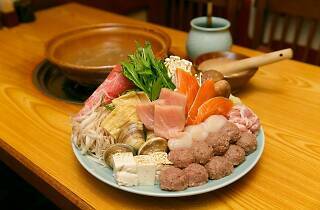 It is also one of the more expensiver foods in Tokyo (but mainly because I always drink sake with this dish). The restaurant is a back alley type one but is divided into two seperate buildings oposing each other. There is a reception desk in one of the buildings and the person at the desk will help you further. Last time (march 2016) I noticed they had a menu translated into english. The athmosphere is great (radio coverage of sumo matches from a forgotten era) and the staff is polite. At the reception they also have nice stuff to buy (bought a sake set there). Pretty decent restaurant to build up some good memories.